Make it YOUR vacation home this WINTER! Beautiful Mansfield views from the large deck! Indulge yourself at the Spa at Topnotch! Lovely 1BR condo at Topnotch Literally steps away from the Spa!! Ski-In/Ski-Out Double Studio @ The Lodge at Spruce Peak (Formerly Stowe Mountain Lodge)! - Adjoining Studios are Perfect for Families: Mom & Dad in One...Kids in the other! Third floor Mansfield Views from this lovely Ridgeline Studio: Great Service. Best rates. Best Views from this superior Ridgeline studio! Perfect Vacation Home! Walking distance to the spa! 3+ Bedrooms and 3.5 baths! Grill and 2 decks! Perfect House for the Entire Family! DOG FRIENDLY! Perfect Home with views of Mt. Mansfield! 3 Bedroom 3 Bath 3 Floor Resort Home at Topnotch Resort! 2 Bedroom Resort Home at Topnotch Resort Perfect for Families! Located Steps Away from Tennis and Spa! The Lodge at Spruce Peak (Formerly Stowe Mountain Lodge) 4th floor: Gorgeous direct Mt. Mansfield views of the Famous Front Four trails. This is a Superior Ridgeline Studio! Americana Charm at Luxurious Topnotch Resort & Spa! World Class Spa with Expansive Mountain Views! Stowe has over 50 restaurants to choose from. Whether you're looking for sushi, italian, Farm-to-table, Stowe's chefs are sure to please the palate. There are 2 courses in Stowe. 18 courses within a 30 minute radius. Come take a "Drive" in the Green Mountains. 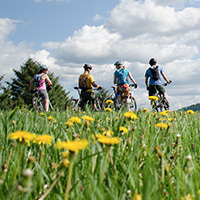 Stowe is home to several mountain biking trail networks. It is the perfect place to have that "single track" adventure. There is no place like Stowe! Our quintessential New England ski village, at the base of Vermont's highest peak, Mt. Mansfield, seamlessly combines outdoor mountain activities with healthy doses of some of Vermont’s finest dining , art, culture, and many Stowe events ! Enjoy awe-inspiring tranquility in a Vermont Spa or a day of outdoor adventure your winter vacation , summer vacation or all season family retreat! Why rent a Vermont Luxury Home with us? Our luxury vacation rentals are impeccably furnished and tastefully decorated. They are well-appointed with hardwood floors, granite counters, and modern appliances for your comfort. These Vermont properties also provide complimentary high speed internet access, so you can be as connected as you choose to be during your Stowe vacation. A Stowe Resort Home agent will greet you at your rental home and give a brief orientation of the home, the heating/cooling system, and amenities. 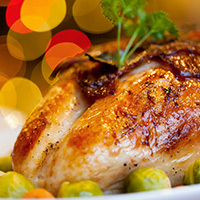 We can provide pre-arrival grocery shopping and concierge services are available for your convenience. We can also arrange for the rental of baby equipment such as high chairs, strollers, joggers, cribs, bicycle trailers, hiking backpacks, etc. Plus, we provide specialized personal service! Will you need a birthday cake and balloons during your VT vacation? Let us help! 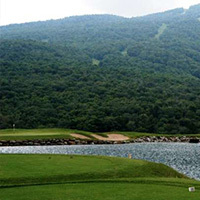 We are here to take away the stress, leaving you to enjoy your family vacation in Vermont! + + ♦♦ = smiles for everyone!